This is real data from an introduction physics class that included future physics teachers and current physics majors. Click the image to enlarge. The instructor measured how many students completed each assignment. On average, a large majority of students completed all the assignments. How many of your students complete their assignments in a semester? 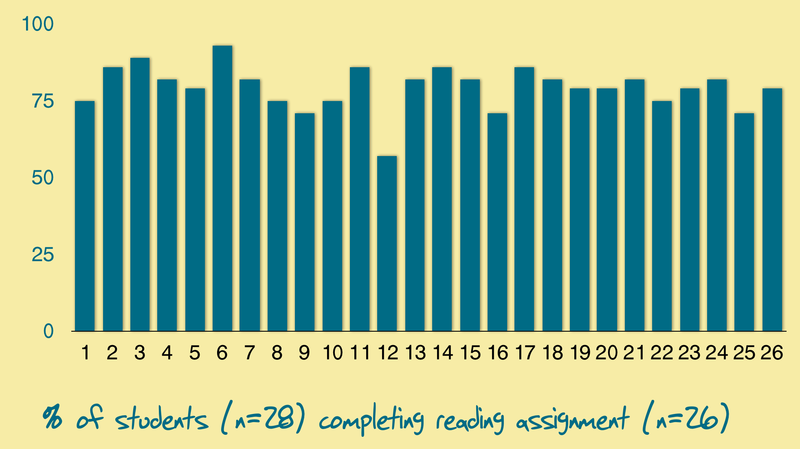 For more on this, see the post: How one professor motivated students to read before a flipped class and measured their effort.